Note: Downloading the book doesn’t automatically subscribe you to TheGunBlog.ca’s e-mail updates. We suggest downloading the free PDF and making a donation. You can also buy the paperback or Kindle from Amazon.ca. (It was a No. 1 Bestseller in its category.) Every senator and many members of parliament were given a copy. Most Recent Update of This Page: Monday 08 April 2019 at 21:00 Toronto time. Latest Bill C-71 coverage by TheGunBlog.ca: Here. Contact: If you see an error or an omission, please contact us. Why Is This Page So Long? Bill C-71 is complex, technical and intricately woven into the fabric of Canada’s convoluted legislative framework on firearm ownership and use, in particular the Firearms Act and the Criminal Code. Canada doesn’t have fines if you break a firearm law. Any violation can land you in jail as a first step. 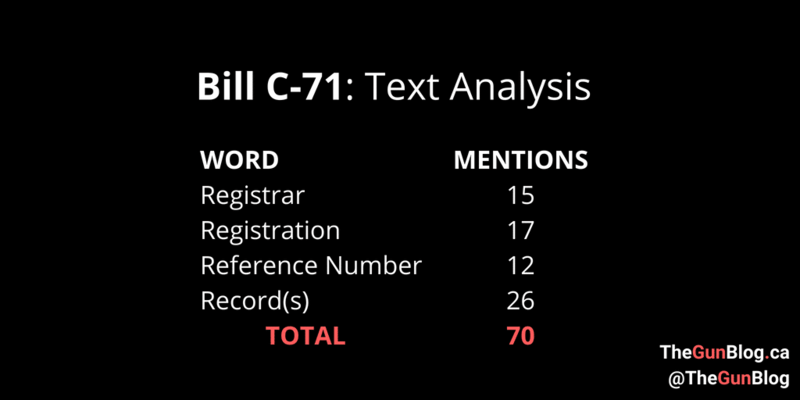 Bill C-71 might appear simple on the surface if you read the mass media. But it isn’t. The philosophical significance and practical implications of all the components of Bill C-71 — including new prohibitions and confiscations and expanded roles for the federal police — make it a regulatory Leviathan. We’ve done our best to explain this monster in plain language. Draft legislation proposed by the government of Canada on 20 March 2018. It could be passed into law in mid-2019 (near certainty). It could also be defeated (unlikely). Aimed at more than 2 million men and women with a federal firearm Possession and Acquisition Licence (PAL), such as hunters, farmers, recreational shooters, competitors and firearm collectors. Would increase firearm prohibitions, confiscations, increase tracking of licence holders, and increase restrictions to get or keep a licence and to buy, sell or transport firearms. 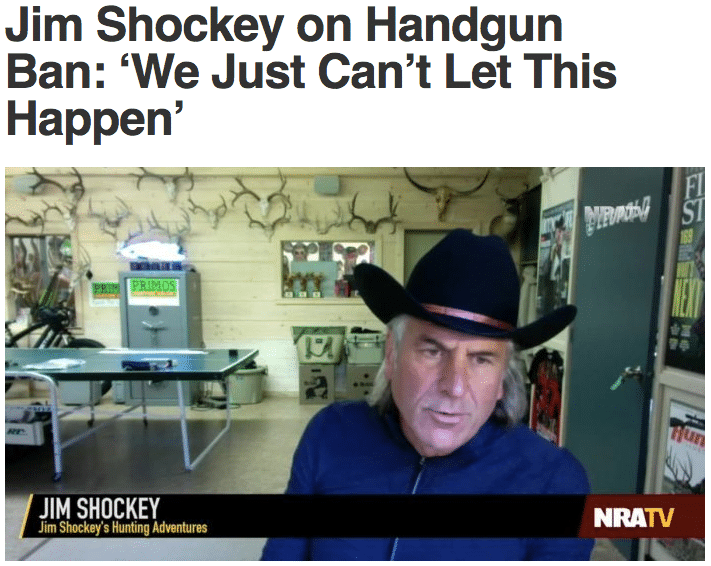 For example, it would become a crime to take a lawfully owned handgun to an airport, border crossing or a gunsmith without specific police permission. Introduced with no evidence of benefit, no evidence of need, no estimate of cost, and no plan to inform gun owners who would be affected directly. Gun owners oppose it: The Shooting Federation of Canada (non-political organization for high-level competitors such as Olympic athletes), the industry association, every national gun-rights association, major provincial hunting associations and hunters, plinkers and sport shooters across Canada. Bill C-71 is one element in a broader plan to prohibit, restrict and penalize lawful gun owners in Canada. The Liberal Party is pushing the measures to help it win the next election. Besides Bill C-71, another type of registry system is also in the works to link every firearm to its owner. Gun owners are taking action. You are reading one of the most-visited pages at TheGunBlog.ca. 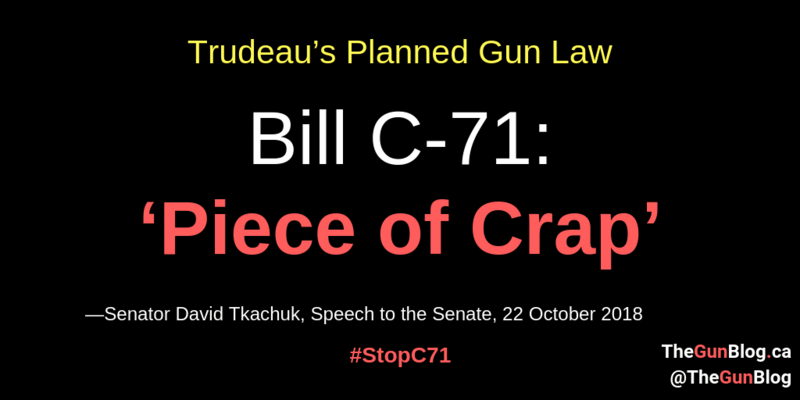 Our leadership against Bill C-71 with stores, associations and tens of thousands of individual gun owners has made it one of the highest-profile bills of this government and a political hot potato. Makes it harder to obtain and keep your gun licence (PAL). Tracks PAL holders who plan to buy, sell or give away guns, even if the transfer isn’t completed (connections registry). You want to sell me your old shotgun? You need to reveal your details and my details to the federal police even if we don’t close the deal. Requires stores to register you and your guns (firearm registry). Makes it easier for federal police (RCMP) to prohibit any firearm. Removes government power to easily override incorrect or unjustified RCMP firearm classifications. Stops you from transporting your guns to and from airport, border, gunshow, gunsmith without special permission (Authorizations To Transport). Want to take a pistol to the gunsmith on the way home from the range? Forget it. 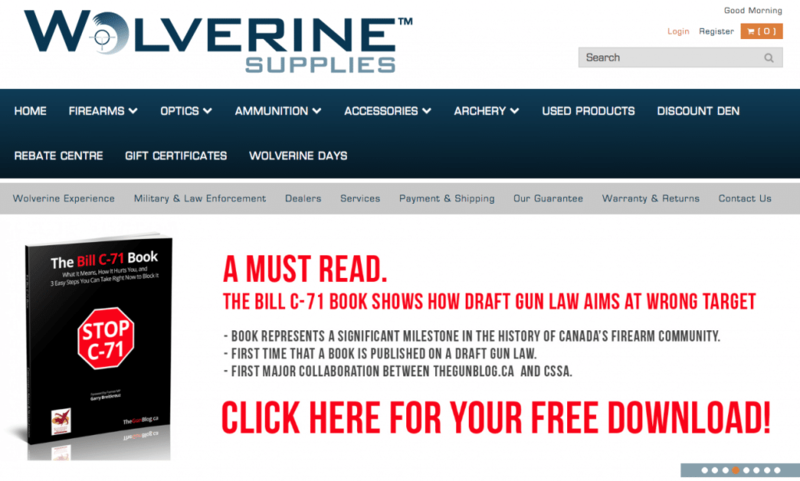 Major gun stores across Canada encouraged their customers to read The Bill C-71 Book. Prohibition. Bill C-71 immediately reclassifies 10,000 to 15,000 legally bought and legally owned rifles as “Prohibited,” including some models that cost more than $4,000 and are used for hunting. (These are the CZ 858 and Swiss Arms.) The law applies retroactively, meaning you could go to jail for something that was legal when you did it. This violates fundamental principles of law in any democracy. Criminalization. Bill C-71 turns 10,000 to 15,000 owners of newly prohibited firearms into instant criminals facing 10 years in prison unless they comply with new ownership requirements. The government hasn’t outlined any plan to notify them. More Gun Bans. Bill C-71 is a warning that more gun bans are coming. It creates Section 12(9) in the Firearms Act, a new catch-all category for people who own guns that will be banned in future. The only reason to include Section 12(9) is to ban more guns. No Oversight. Bill C-71 gives the RCMP greater leeway to prohibit firearms by removing the government’s ability to easily un-prohibit firearms, fuelling concern of more bans and of police overreach. Registration. Bill C-71 makes it a crime to buy, sell or give away any gun without an authorization and a reference number for each potential or actual transaction from the RCMP Registrar of Firearms. Connections Registry. The federal police already know who has a PAL. Bill C-71 creates a new connections registry of PAL holders who are in contact with each other. You must get RCMP permission to sell a rifle or shotgun by telling them your PAL number and the buyer’s PAL number, even if you never complete the sale. No Transport: Bill C-71 immediately revokes Authorizations To Transport (ATT) firearms, except from store to home and between home and target range. Gunshows, gunsmiths, border crossings and airports require special permission. If you want to pick up your gun from the gunsmith on your way to a match, you’ll need an ATT. How about dropping off your gun at the gunsmith after a range session? Another ATT. If you want to take a gun from the store to the gunsmith, another ATT. From the gunshow to a gunsmith? Another ATT. Gun Registry, Costs: Bill C-71 forces gun stores to keep detailed transaction records on every firearm buyer and every firearm purchase for 20 years. This will increase costs that will be passed on to customers. It also makes a great hit list for thieves if the registry is stolen or hacked. PAL Refusal and Revocation. Bill C-71 forces background checks to go from five years to your whole life. More people applying for a new gun licence or a renewal could be rejected, and some will decide to not renew rather than disclose private info from long ago. No More PAL = No More Guns. Paperwork and Penalties for Violent Criminals: Zero. Subscribe to TheGunBlog.ca for updates, info and the latest tools and resources. Please consider supporting us if you like what you’re reading. Write to your elected officials at all levels: federal, provincial, municipal. If appropriate in your situation: Invite people shooting to share your joy, write letters to the editor of newspapers, invite politicians and media to visit your club or range. The Liberals are now examining a “full ban” on more than a million handguns and other firearms owned by PAL holders. They’re also considering bans on home firearm storage. 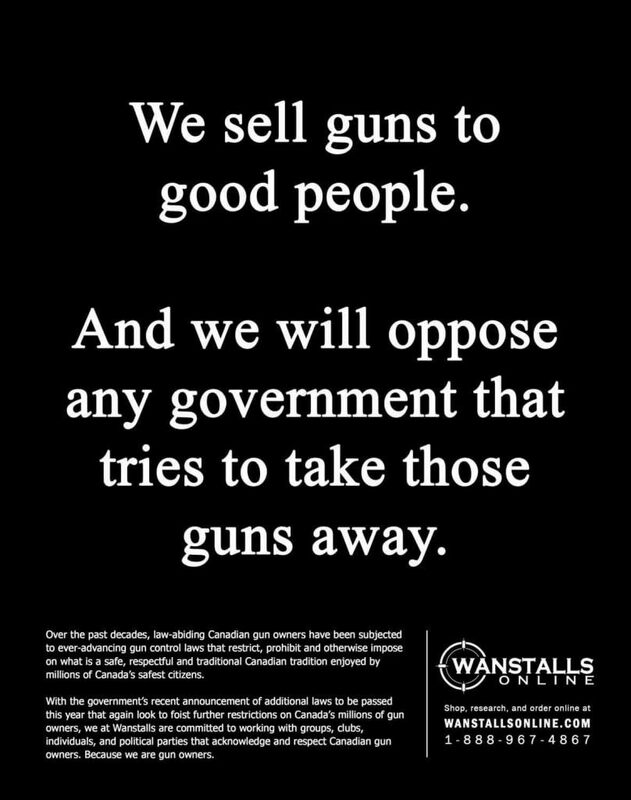 The Young Liberals of Canada, the youth wing, is calling for handgun bans. Remember: Today’s youth are tomorrow’s government. 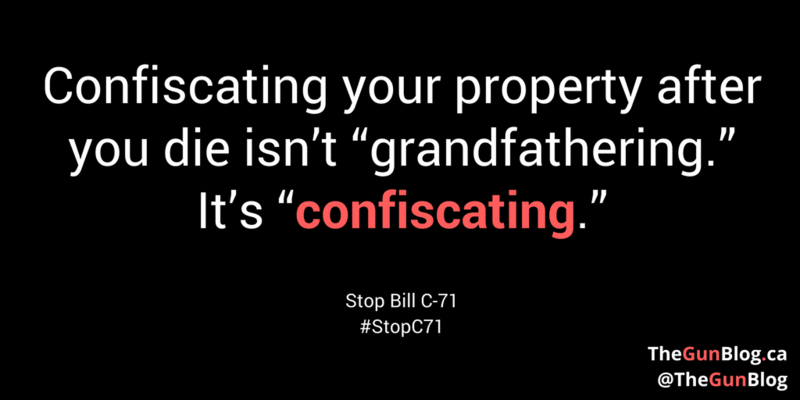 We need to look beyond Bill C-71 to where we can act next. Contact political candidates who support your rights and help them get elected. It’s never too early to get on their mailing list. Join your favourite gun-rights association, hunting association or renew your membership. 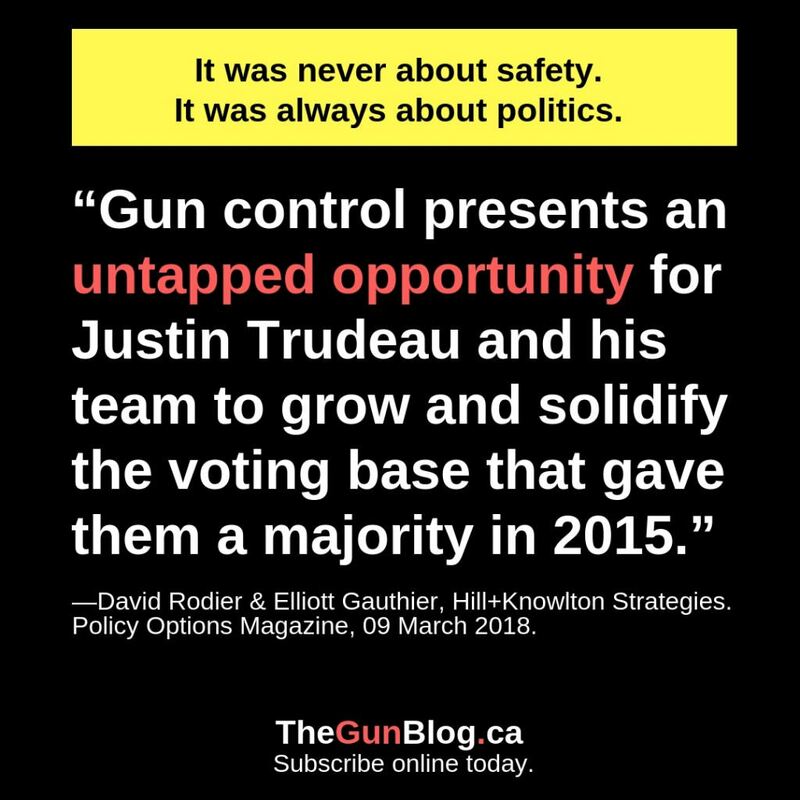 Support TheGunBlog.ca if you like our work. Subscribe to TheGunBlog.ca for the latest news and updates, including occasional info that isn’t published online. Click here to see all our coverage on Bill C-71. What Do Shooting and Hunting Associations Say? If you are a firearms owner, it is important to stand with us as we do everything in our power to influence meaningful changes before it becomes law. Visit https://t.co/xA7UMQ0T5b for information on Bill C-71. Dec 11: Referral to Standing Senate Committee on National Security and Defence (SECD). Overview of all meetings at a glance. Feb 18: Senate Committee on National Security and Defence. First Meeting. Feb 25: Senate Committee on National Security and Defence. Second Meeting. Mar 18: Senate Committee on National Security and Defence. Third Meeting. Apr 01: Senate Committee on National Security and Defence. Fourth Meeting. Apr 03: Senate Committee on National Security and Defence. Fifth Meeting. Apr 08: Senate Committee on National Security and Defence. Sixth Meeting. Senate as a whole votes on latest amendments and text. Royal Assent and Bill C-71 becomes law. Will almost certainly happen by end of June 2019. 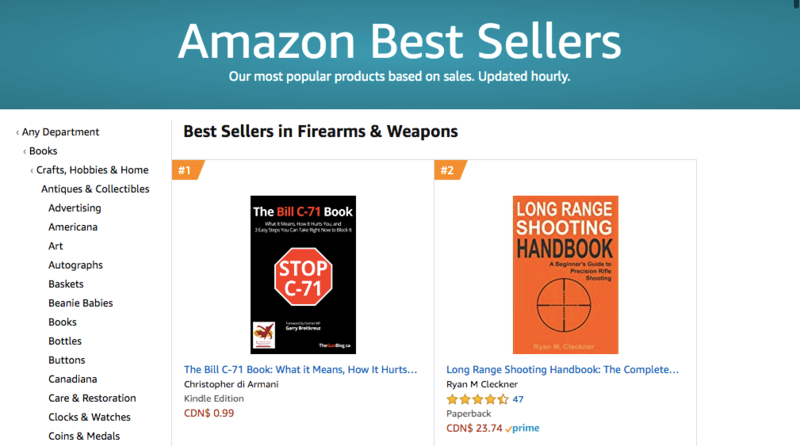 The Bill C-71 Book represents a significant milestone in the history of Canada’s firearm community. First time that a book is published on a draft gun law. First major collaboration between TheGunBlog.ca, Canada’s leading gun-rights media, and the Canadian Shooting Sports Association (CSSA), the leading gun-rights advocacy group. CSSA gave paperback copies of The Bill C-71 Book to more than 100 Members of Parliament and staff, and sent one to every Senator. 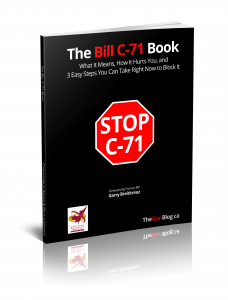 MPs and Senators quote The Bill C-71 Book in their speeches or mention it. Thousands of individuals have downloaded the PDF and/or bought the book on Amazon. If you’re reading this, please consider supporting TheGunBlog.ca so we can continue supporting you. You can also subscribe to our e-mail updates.